Technology is always advancing. One big example of how our society is changing is the shift towards putting everything on the Internet. Diaries have been pushed out of the spotlight by blogs and social networks. Photo albums have been replaced by image services like Imgur and Flickr. 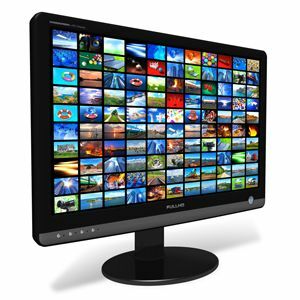 Visual media is starting to shift away from the television to Internet streaming. There are many ways to utilize Internet streaming to your advantage. Live video podcasting is a popular choice these days, with shows like the Totally Rad Show. Professional gamers are streaming their play sessions on a regular basis on sites like TwitchTV so that fans can watch live. And let’s not forget about services like Netflix. You can join in with this new trend by streaming your desktop right onto the Internet for everyone to see. Using a program called XSplit Broadcaster, it’s as easy as cake. Before you can download and install XSplit, you’ll need to create a free account. If you’re worried about privacy, don’t be. The only information you’ll need to share is your email address, your name, your desired screen name, and a password for the account. If you don’t want to share your real name, then don’t! It’s not vital and they don’t check. Once you’ve made an account, you can download the installer file right from their website. Installation is a breeze. There are no difficult gimmicks or hitches to navigate around. If you’ve ever installed another program, then you should have no trouble here. Streaming to the Internet has been possible for a good number of years already, but XSplit is one of the reasons why streaming has become as large of a trend as it is today. The beauty of XSplit is that it can stream to a bunch of services, including TwitchTV, Livestream, own3D, reGame, uStream, and BlogTV. Once you’ve selected which service you’d like to use, XSplit does the rest. Even though XSplit is so easy to use, it’s highly customizable. Of course, if you’re a professional stream technician, you’ll probably miss out on a lot of the nitty gritty options to make your stream pristine. However, for the average Joe Schmoe who just wants to get his stream up and running as soon as possible, XSplit’s options are more than you’ll need. Resolution. Frame rate. Global hotkeys. Audio and video sources. Audio and video bitrates. Codecs. Buffers. And if you know a bit of coding, you can whip up extra features through XSplit’s awesome plugin system. Before XSplit came along, a lot of the freely available streaming software out there was very limited in terms of display. Most of the time, you had to be content with streaming your entire screen. Thanks to XSplit’s scening system, you can create up to 12 scene layouts and switch between them at the press of a key. With a keypress, you could show a static image that tells your viewers that you’re on a break and will be back in 5 minutes. With another keypress, you can switch to a scene that displays your entire screen. Another, and you can show a split-screen view of your screen and your webcam. For the very low price of free, you won’t find much better than XSplit when it comes to Internet streaming. Whether you want to broadcast yourself gaming or if you want to host a webcam-operated Internet show, XSplit can do it all. There’s a bit of a learning curve, but it’s not very steep and the reward is worth it. Deinitely the "de-facto" tool for modern streaming. I like how the app is being improved day in and day out. Still have some bugs and glitches but they are very transparent in terms of actions that they're taking and what the plans are. I used XSplit a lot back in the Summer of 2011 and you are right. The development speed was super fast. They're good with that. XSplit definitely is the streaming tool of choice at the moment - even for the pros. Game source sets them light years ahead of the competition... too bad it's not free anymore ... still a lot cheaper than less good alternatives. There is a free option, but it is quite limited. I wish it wasn't so restricted, but as you say, the program is very good at what it does and it makes it easy for users to learn. For the price, it's definitely worth it. Isn't this going to no longer be free tomorrow? Hey Lee. I wrote this article a while back (sometimes it takes a while for an article to be published when it's in queue), so it was still in a free beta. Apparently it's gone retail now. Thanks for bringing that to my attention. It appears that you can still use XSplit for free in trial mode, though you cannot use it for commercial use and there will be some restrictions (such as video resolution). As for pricing, XSplit offers 3/12/36 month options in two categories, Personal and Premium. For Personal, it will cost you $15/$40/$80. For Premium, it will cost you $25/$60/$120. Even though it does cost money now, I believe that XSplit is the best in its class. It is extremely easy to use (which is hard to say for other free alternatives) and it does everything right out of the box. The Plugin feature makes it extensible, as well.